If your car is smoking after a recent oil change and wasn't doing so prior to the change, the cause is likely one of three things–too much oil in the engine, oil spilled on the engine or an oil leak. You can usually determine the problem in a few steps. Raise the car hood if you smelled burning oil while driving the car. 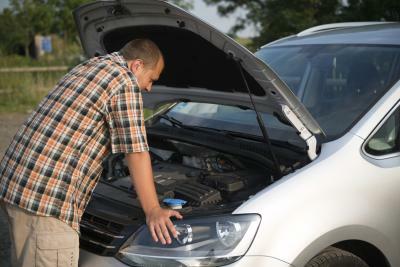 Look for oil that may have been spilled on the engine or exhaust manifold during the oil change. If you find a spill, wipe off as much as you can with rags. The rest will normally burn off as you drive the car. When it does, the smoking will stop. 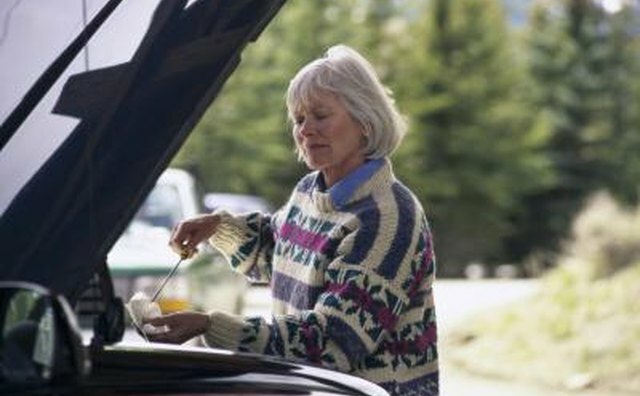 If you suspect the smoking is caused by a leak, inspect the engine. Make sure the dipstick is pushed all the way in. Check for any leaks around the valve covers and the oil pan. Tighten any loose bolts. 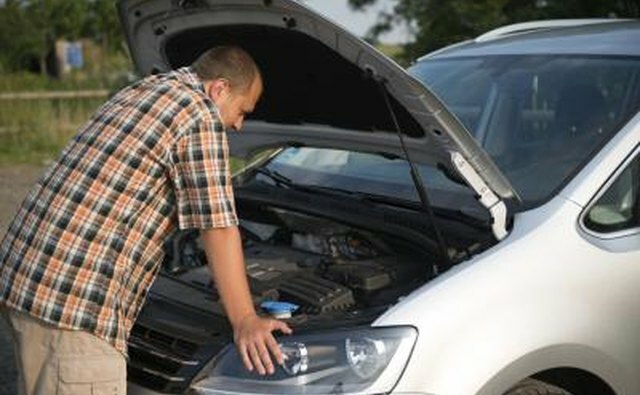 Crawl underneath the car and look for oil leaking around the oil pan, at the drain plug or at the filter. Tighten the bolts on the pan, tighten the plug or tighten the filter. Use your hands or an oil filter wrench. Park your car on a level surface. Lift the hood and check the oil level. Refer to the owner's manual to find the proper procedure for your make and model. Some car engines should be cold when you check the oil level, while others should be warm. Drain the excess oil if the dipstick shows there's too much. Place a pan underneath the oil pan. 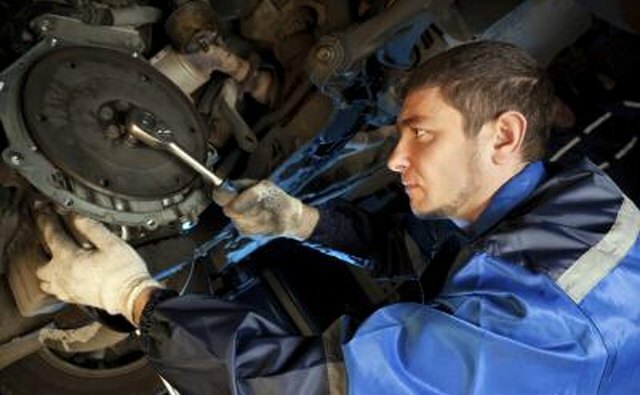 Remove the drain plug and allow the excess oil to drain into the pan. Replace the oil plug and make sure it's tight. Check the dipstick again and add enough oil to top the level off. 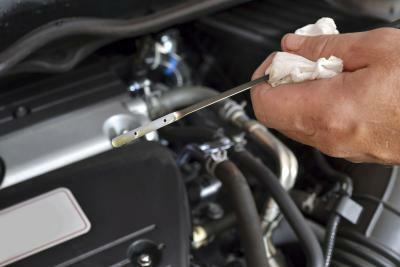 Adding too much oil to a car's engine causes increased pressure that can damage seals and gaskets.